Featuring 2D artworks from grades PreK - 12. 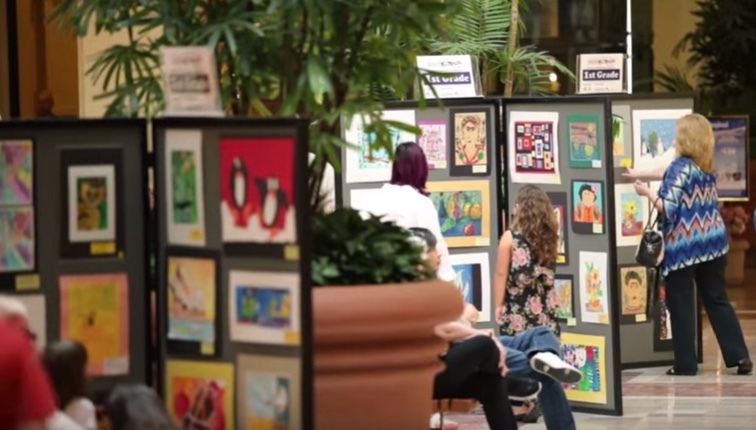 Features the artistic accomplishments of students with disabilities. Featuring approximately 100 pieces total of three-dimensional art from all grade levels. In addition to the exhibitions held during Imagination Celebration, works submitted to the Three-Dimensional Art Show, the VSA Festival and 1,000 Pieces of Art are considered for the Laguna Beach Festival of the Arts Junior Exhibition. In order to submit to the Laguna Festival, artworks must be submitted to one of the three distinct exhibitions. If your work is chosen to be exhibited at the Laguna Festival, you will be contacted directly by the Festival on how to participate in that show.